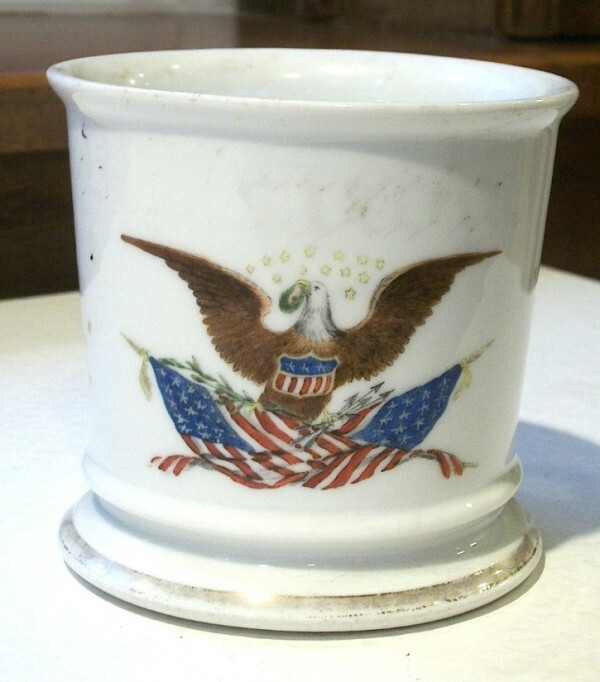 Shaving Mug with image of an eagle with shield and two crossed flags. This is a fairly standard patriotic design, sometimes immigrants will have one American flag and one from their original country. The gilt name on this mug has worn almost entirely off but looking closely you can still make out a couple letters.